I’m excited to be included in the new issue of Aperture magazine. A print of “Capitalism Works For Me! True/False” is in the section Collectors: The Philosophers — On Recent Acquisitions. 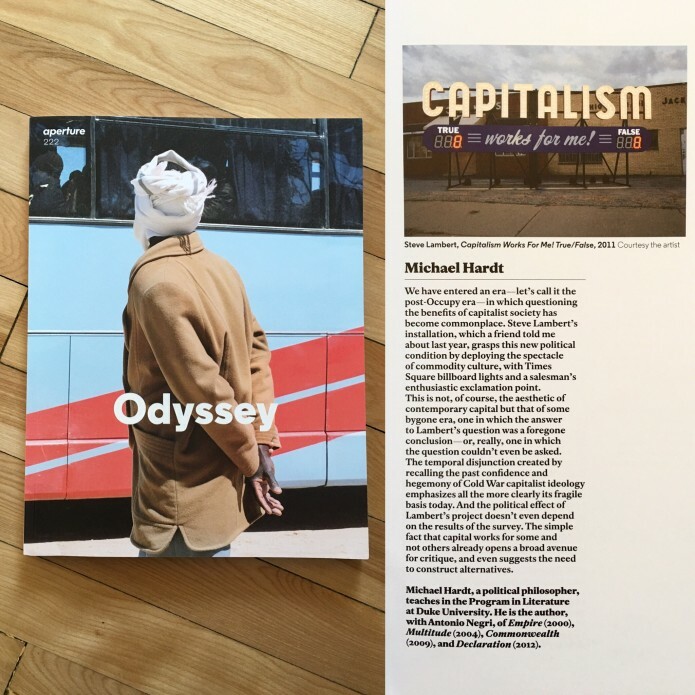 In this section, the magazine talks to collectors about works they’ve recently acquired and the political philosopher, Michael Hardt, discusses my work.